Ok, here’s my first attempt at pizza from Mario Batali’s aforementioned book, Molto Gusto, with recipes from Enoteca Otto Pizzeria in New York. If you’ve ever been to Otto, you know the pizza’s are wonderful and the salads and small plates heavenly. I still make my version of Roman artichokes modeled on the ones I had there: artichokes in oil from Bay Cities, slivers of red onion, mint, parmesan, and a squeeze of lemon. Simplicity itself, but wonderful and summery. I normally wouldn’t undertake pizza. I didn’t believe one could get the same results from a home oven that are seen in a professional kitchen. But Batali’s recipe is different. The crust is initially ‘baked’ on a griddle, then topped and broiled. Initially, I was doubtful. And as you can see from the burnt crust in the photo, I had some problems finding the right amount of space from the broiler. Batali recommends 4 inches from the broiler for 7 minutes. No way. I moved the rack to the lower part of the oven and watched carefully. Also, I gave up on the stretching of the dough because it would tear. Once I switched to a rolling-pin I had no problem except that there is no raised edge. The crust still burned but no matter: it was malty, flavorful,, crispy. I bought all the essential ingredients from Bay Cities in Santa Monica. 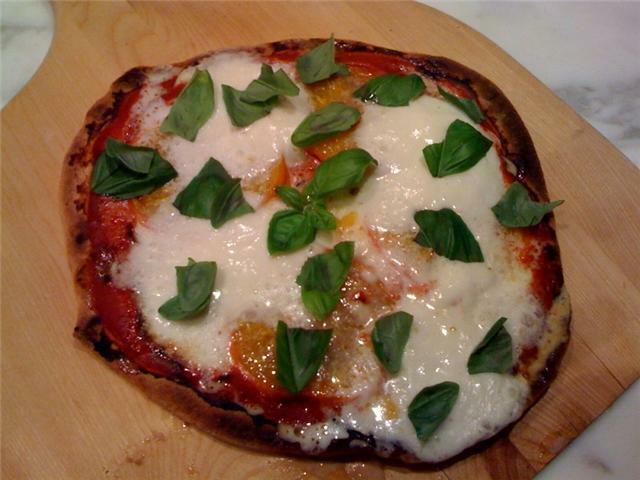 The Pomi strained tomatoes that Batali requires gave the pizzas an authentic taste. All in all, although they may not look like Enoteca Otto’s pizzas, mine were unbelievably delicious, as good if not better than what I’ve had in many restaurants in LA (Mozza and Gjelina notwithstanding). I recommend you give it a try, it’s easier than it looks and the results are impressive. 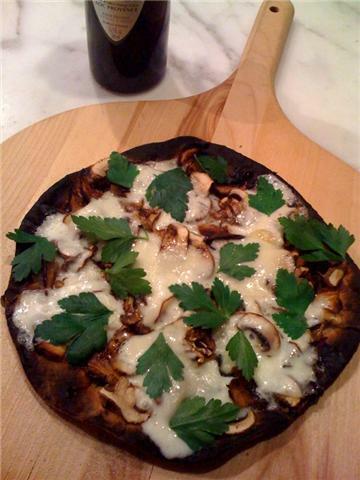 This entry was posted in Recipes by toddrickallen. Bookmark the permalink. I are so happy to read this particular. This is the kind of manual which needs to be given and never the unintentional misinformation that’s at another blogs. Enjoy your sharing this finest doc.